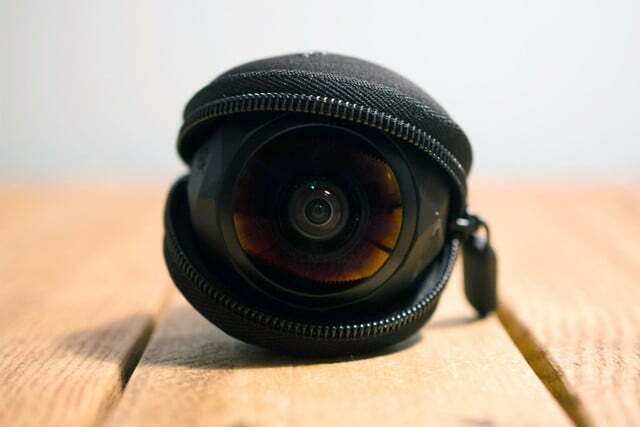 Capturing a 360-degree view is normally the job of at least two camera lenses, but the company that released one of the first consumer 360 cameras is staying single – and loving it. The 360Fly 4K continues to offer that fly-on-the-wall perspective with a single lens, stitch-free system. As multi-lens 360 cameras are coming out of the woodwork, 360Fly has had an already-improved 4K model on the shelves for months (note that “4K” is a bit of a misnomer, which we’ll explain in a minute). The first to the punch may not always remain the best option, but the 360Fly 4K still deserves a bit of attention thanks to stitch-free shooting and a few cool extras. 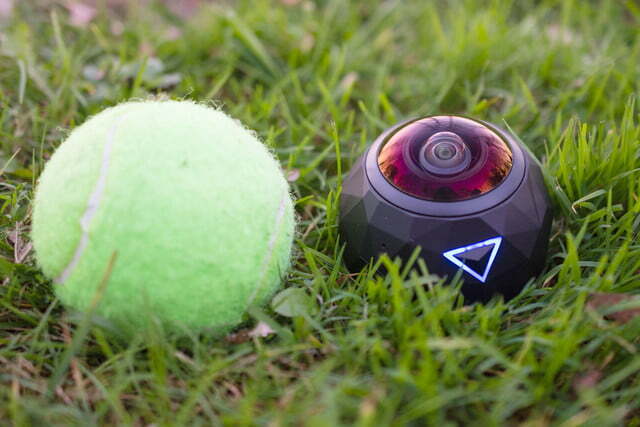 The 360Fly 4K takes more design tips from a golf ball than a camera, although that’s not necessarily a bad thing. 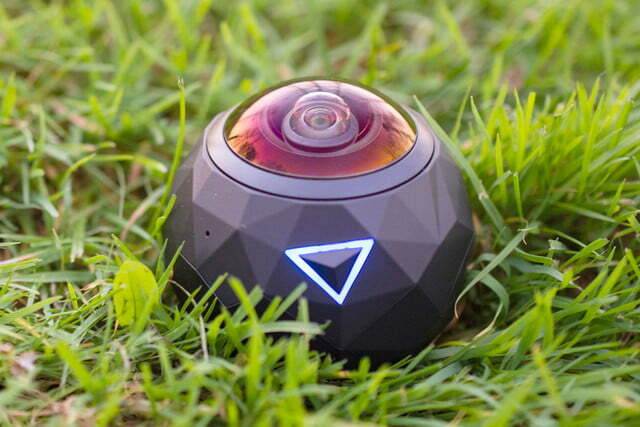 The sphere-shaped camera has a curvaceous design with a mix of slightly protruding triangles that gives the camera some texture, making it a bit easier to grip, while adding some aesthetic quality to the simple-looking camera. The camera is also dustproof, shockproof, and water resistant – not waterproof, however, so it’s not completely rugged. At the top of the camera sits the 360Fly 4K’s only lens, which is a bit different since most 360 options available use a dual-lens setup; it’s similar to the original Kodak 360-degree camera, in terms of lens design. 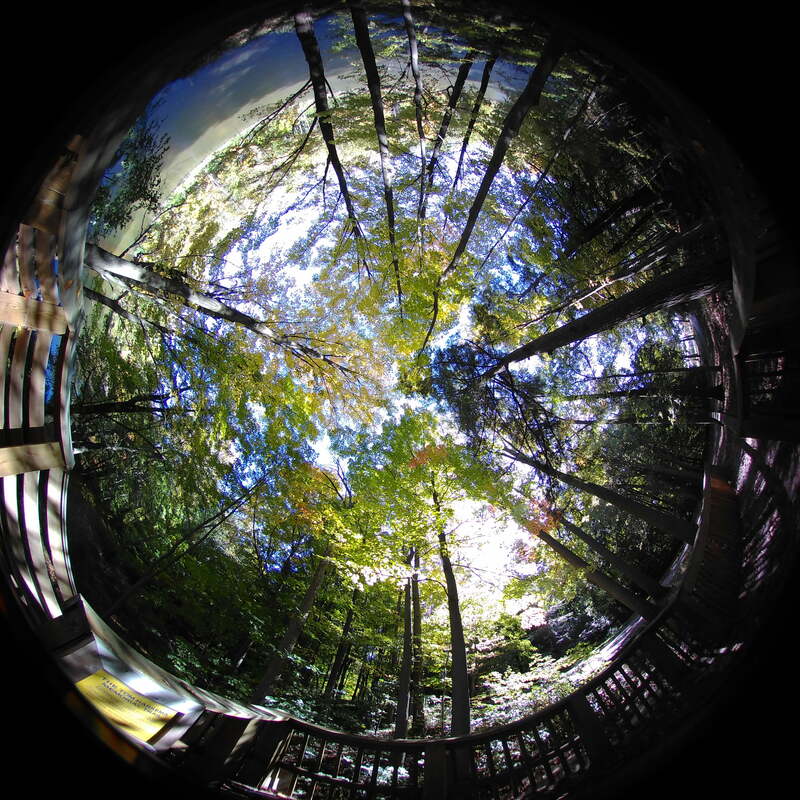 It’s not possible to capture a “true” 360-degree spherical view with a single lens, but with the lens pointed skyward, really the only thing that’s missing from the footage is the tripod or mount underneath it. 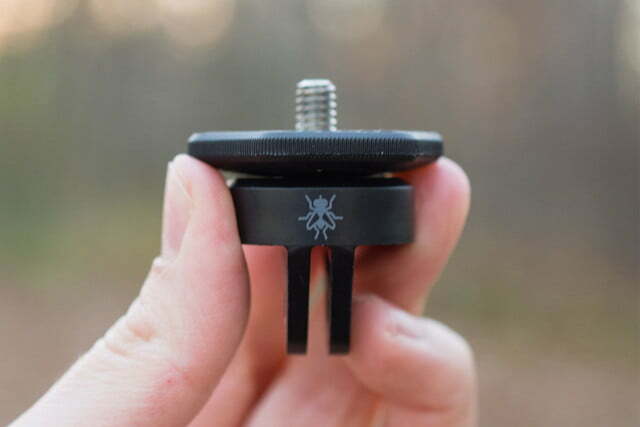 That could be both a plus and a negative, since it means you can shoot 360 without being in the footage, but in some action-camera instances, you may miss a little bit of the action if you mount the camera directly overhead. On the camera’s undercarriage is a standard tripod mount, and included is the box is a converter that allows users to mount the camera on any GoPro-compatible mounts. The 360Fly 4K still deserves a bit of attention thanks to stitch-free shooting and a few cool extras. Below the lens is also a set of magnetic sensors that attach the camera to the included stand for charging or uploading to a computer via USB. The magnetic connection is actually pretty sturdy – you can pick up the whole thing without dropping the connection. 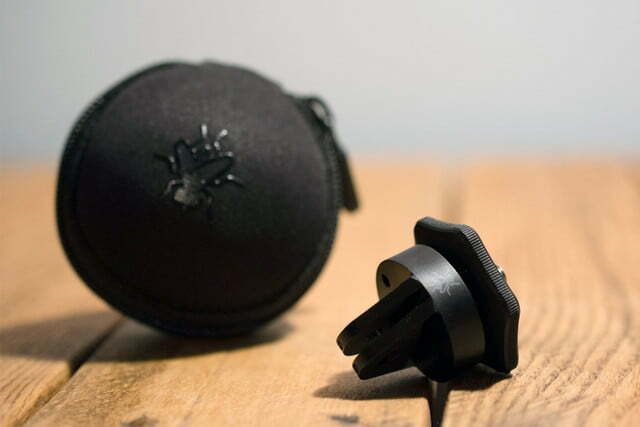 With an included case, the camera is fairly easy to slide inside any bag. While it might fit inside the pocket of cargo pants, the shape is a bit pocket-prohibitive. Still, the camera is very lightweight at only six ounces – easy enough to take along and small enough to mount in a variety of different scenarios. The biggest issue arising from the camera’s sphere shape is that it is hard to use handheld without getting fingers in the footage, but a simple solution would be to add a short selfie stick or handheld gimbal for using the camera without a tripod or a mount system. The 360Fly 4K is incredibly fun to use. 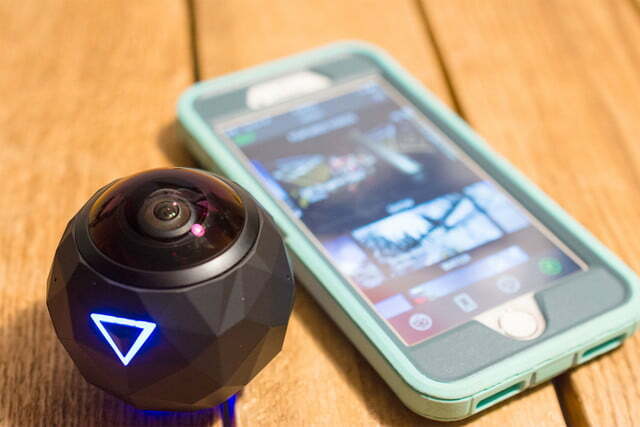 The camera can be operated with a single button, with or without the companion 360Fly smartphone app (iOS or Android, via Wi-Fi or Bluetooth). Holding the button turns it on and off, while a light changes color to indicate if the camera’s connected. The camera also vibrates to signal when a recording starts, either through a press of the button or the app. Since the camera lacks a display, the app comes in handy when you need a live view. The camera’s settings and options are handled through the 360Fly app, as well as the option to share to the web. The app’s user interface is fairly straightforward, with a shooting mode as well as options for sharing and viewing the photos and video. The app walks new users through the steps to set up the connection to the camera. The video is good enough for Facebook, but it isn’t true 4K. In shooting mode, users tap on a camera icon to choose between still and video. 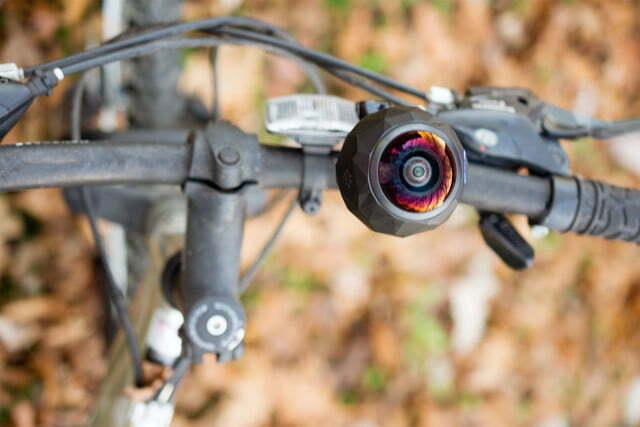 For video, the 360Fly 4K has a few adjustable settings, including the frame rate and a “POV” mode that shoots from a more traditional, non-360, first-person perspective – think action cam – as well as a time-lapse mode. The still photo mode offers the complete 360, or the POV option as well as burst settings. The camera’s connection worked well, in general. There were a few times when we tried to get out of the frame, we moved too far from the camera for the signal to reach, and lost the connection. Shooting with the camera is incredibly easy – hold or mount the 360Fly 4K with the lens facing the sky (or ceiling, if indoors), and press that single button once (the light will turn from blue to red when the recording starts) or use the app to start the recording. As easy as it is to start a recording, there are a few hidden gems. 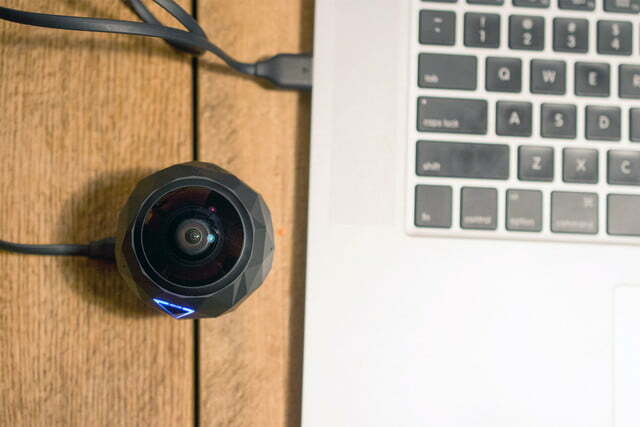 The motion trigger option automatically starts the camera when it detects movement – think surveillance camera, but in 360 – and it worked effectively. The 360Fly 4K can also be triggered by sound, though this option didn’t seem as sensitive as the motion trigger. A second settings menu also offers options for adjusting the brightness and contrast. One of the perks to the 360Fly 4K is that the company doesn’t appear to be just shipping out hardware and moving on to the next big thing. An update for the camera came out mid-review, and the company has added features since the camera’s first launch, most notably, the ability to live-stream using the Livit app. While the 360Fly app serves as a surrogate for a camera’s LCD screen, the 360Fly Director application (MacOS or Windows) is the desktop hub for photos and videos. Director allows users to crop out those pesky fingers if you happened to shoot handheld, but only for photos. The crop tool also cuts the 360 photo down to something you can see in a single screen, since you cannot drag the crop box wide enough to cover the entire view. The photo editor will also adjust the orientation and apply filters. As with most 360-degree cameras, the 360Fly 4K does some things well, but it’s lacking in other areas. In the video-editing mode, Director lets users control the viewer’s perspective with the “Watch Me” mode. Here’s how it works: First, you pick a starting point, and then you click and drag around the 360 perspective. In doing so, instead of a 360 clip that the viewer pans around, he or she would see the action as the creator envisioned. It’s handy for ensuring viewers don’t miss something important because they are looking at the opposite end or editing footage to fit on a standard TV screen. Video editing options also include quick edits for fixing a camera mounted upside down, trimming a long video, merging several clips together, and pulling a still image from the footage. The video edits do take a few minutes to process, but that’s expected with the additional information the computer has to work with. 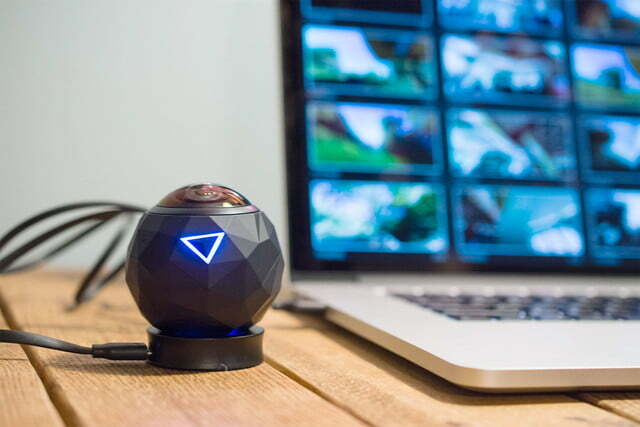 While there’s no stitching process, the software does need to unravel the video from a spherical shape into a navigable 360 image, so uploading videos and photos does take a bit longer than using a traditional action camera. While the Director program was easy enough to use, we had difficulty actually getting the footage to play properly on YouTube. Uploaded to 360Fly (embedded above), as well as Facebook, the video was exactly what we expected, but the YouTube upload (attempted multiple times) was missing chunks of the footage, with an obvious stitch at the bottom. A search for other 360Fly videos on YouTube turned up a few more that didn’t have errors to the same extent, but still had small slices missing from footage that should be stitch-free. The issue is likely a compatibility one with YouTube, since we didn’t have issues on direct uploads to 360Fly, or with the hardware itself, but it’s one that should cause some serious pause for YouTube fans. Because the 360Fly 4K uses a single lens, there’s no long, complex stitching process; there are also no stitching errors. The mismatched colors that are the result of dual-lens cameras (like the sample video in our Samsung Gear 360 review, for example) do not occur in the 360Fly 4K. But, there are a few tradeoffs for using a single lens. The 4K in the name isn’t meant to indicate you’ll get ultra-high-definition resolution that’s associated with 4K TVs and cameras. In fact, unlike most 4K-capture devices, the company uses both the width and height to come up with that 4K designation – the footage is actually 2,880 x 2,880. Stretch those 2,880 pixels around a 360-degree view, and you have a video that’s good enough for impressing your Facebook friends, but not for the 4K clarity that only comes out of the several-thousand-dollar 360 outfits. Used as an action camera, footage shot from a moving boat was impressively smooth, without much shaking from the water or vibration from the boat’s motor. The camera did pick up some wind noise, however, at faster speeds. While the single lens leads to some distortion, we were impressed that there wasn’t more considering the limitations of using just one lens. Overall, looking around the 360-degree view, including straight up into the sky, is pretty fun. Our biggest issue with the footage is that the single lens is rather prone to lens flares on a sunny day – keeping the lens clean is also essential to avoiding additional purple spots on the images. The footage also has some chromatic aberration (or purple fringing) in high contrast scenes. Ironically, that means the 360Fly 4K performs best where most cameras perform the worst – indoors. So, in summary: The 360Fly 4K produces solid videos at a much higher resolution than the original 360Fly camera. There are no stitching errors, since there’s no actual stitching, but there is some lens flares and purple fringing on a bright day that could turn off some potential users. The 360Fly 4K camera is a solid consumer 360-degree camera – without stitching, the camera is incredibly simple to use, which ups the fun factor of shooting in 360. While the 360 camera market is becoming increasingly competitive, the 360Fly includes a few extras that most don’t, including motion and noise-triggered shooting. However, the high price and lackluster, not-exactly 4K video quality gives us pause. The 360Fly 4K would have been a much easier choice if it was novel, but with the Samsung Gear 360 the Nikon KeyMission 360 in the market, it’s a tough call to make. Both the Samsung and Nikon use dual cameras, which give you a truer 360-degree experience. The Samsung is the closest to 4K with a 3,840 resolution. The dual lenses create a less extreme perspective distortion, but it’s also prone to stitching errors. Nikon’s KeyMission 360, on the other hand, is much more rugged than the 360Fly 4K – it’s completely waterproof, not just water resistant. Neither the Samsung or Nikon options, however, include the motion and sound-triggered recordings. 360Fly is prone to releasing updates that work with existing hardware, like the addition of live streaming with the Livit app and custom track and map overlays with RaceRender. While all hardware will one day be outdated, from what we’ve seen, the company is committed to continuing to enhance the existing camera with firmware updates and new partnerships. 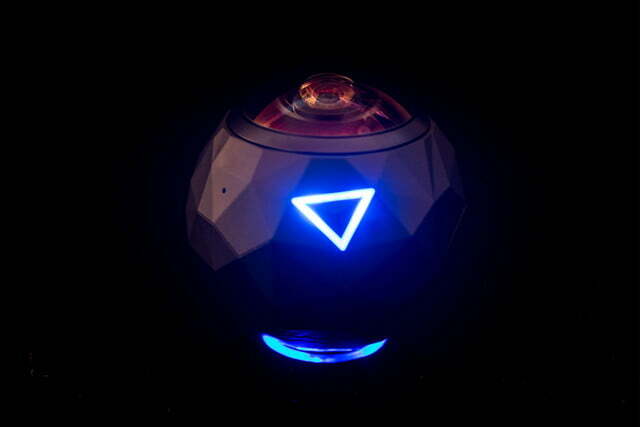 However, as we mentioned, 360-degree cameras, for now, are still nascent, and the technology is changing. We still haven’t seen widespread adoption, but with 360-degree support from Facebook and YouTube – two of the largest social media networks – the demand for such cameras could take off. But, there will most likely be better technologies in the next few years. Not at the asking price. 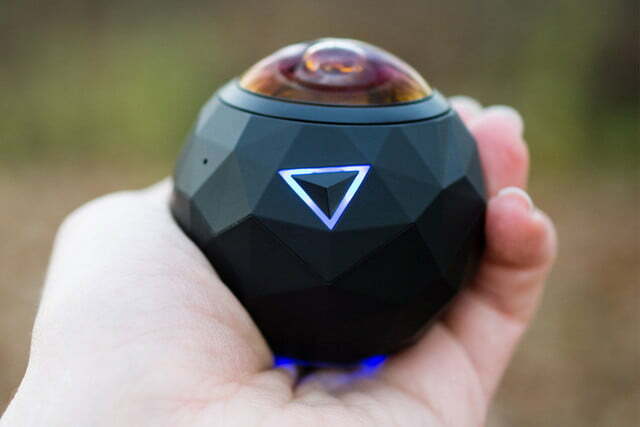 If you are looking for a simple, stitch-free 360 experience with extras like motion-triggered recording, few 360 cameras can get it done like the 360Fly 4K. But it’s important to understand that the name is a bit misleading before committing that $500 – and that’s a lot of money, considering there are other 360 cameras that cost less. 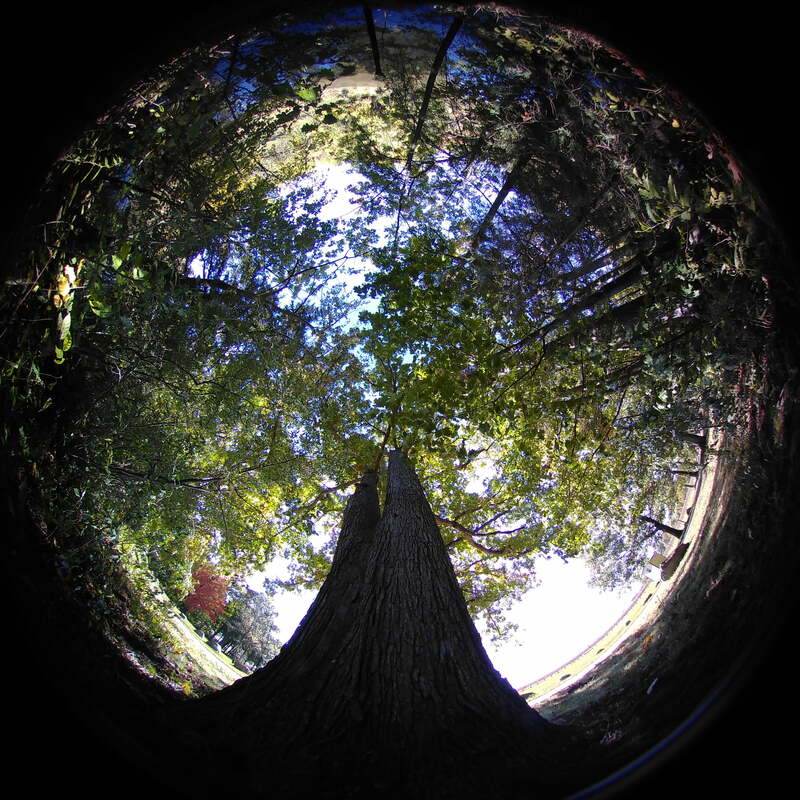 The camera captures a 360 horizontal view, but not a 360 vertical view (eliminating some of what’s underneath the camera). The “4K” also refers to both the width and height, with a 2,880-pixel resolution stretched out across 360 degrees. 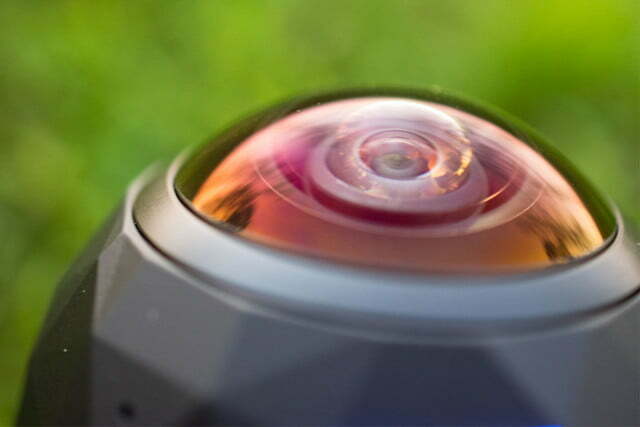 For us, it’s really hard to recommend a 360-degree camera because the category is still in its infancy – no 360-degree camera shouts, “You need to buy me.” For photos we like Ricoh’s Theta S, but it’s subpar when it comes to videos. Samsung has a nice solution, but that camera only works with select Samsung phones. Nikon’s KeyMission 360 is well built and does a good job stitching photos and videos in-camera, but we have issues with using the app. With the 360Fly 4K, we feel the same way: It does some things well, but it’s lacking in other areas.